The breathtakingly fast-growing world of solar has become a complex one. Customers are being offered ever more opportunities for action and investment, and this is overburdening some of them. At the heart of this complexity stands the inverter, where all the connections come together. Manufacturers can support their customers by providing an orientation guide and making the use of photovoltaics simpler again. “The complexity in our sector has increased over the years,” says Markus Vetter, Head of Marketing and Communication at Kostal. The simple model of feeding in at a fixed tariff has been replaced by a business model which balances own consumption, storage and infeed, and also considers flexibly timing consumption in order to most effectively use the solar electricity. It is no longer enough to determine how many modules will fit on the roof and how many you can afford. You now have to additionally think about whether storage is really going to be worthwhile, and if so, what its capacity should be. “The demands on the human-machine interface have also increased,” adds Vetter. If you then also have to consider whether a smart home system would make sense and what interfaces then have to be used, the complexity becomes very evident. 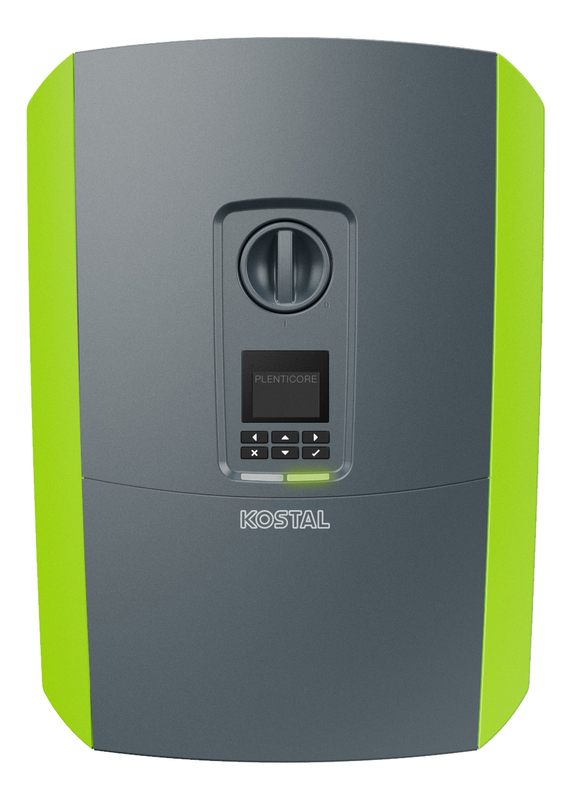 Kostal‘s answer to the increasing web of system technology is the new inverter Plenticore plus. It aims to provide a suitable solution for as many customer desires as possible. It can be used with or without a battery and is designed to additionally be able to charge the battery via the AC bus if so desired. In order to fulfil the many different demands, three MPP trackers are available. You can either connect up three module strings or two module strings and a battery. Communication must also become more powerful and flexible. Kostal has thus developed the “Smart Communication Board”, which aims to fulfil current and future demands and whose functions are also expandable via app. In this way the new inverter aims to satisfy market demands which now, or in the near future, are going for own consumption, thus giving the battery an important role. Not all batteries are suitable, however. Just like all other inverters to which a battery can be connected, the Plenticore plus has specific requirements. “Given the large number of battery systems, it is our task to support the customer in making a selection and to separate the wheat from the chaff,” stresses Vetter: “We look at the batteries and check whether they will fit with the inverter.” These are time-consuming qualification processes: “The batteries which we recommend not only have to meet safety standards, but also our brand quality.” This means that an “intelligent connection” can only be made between the Plenticore plus and certain batteries. The operation of the battery throws up a multitude of questions; what happens if there is a fault? How are results logged? Who will carry out the servicing? “We clarify these questions in advance, before we recommend a battery to our customers,” says Vetter. 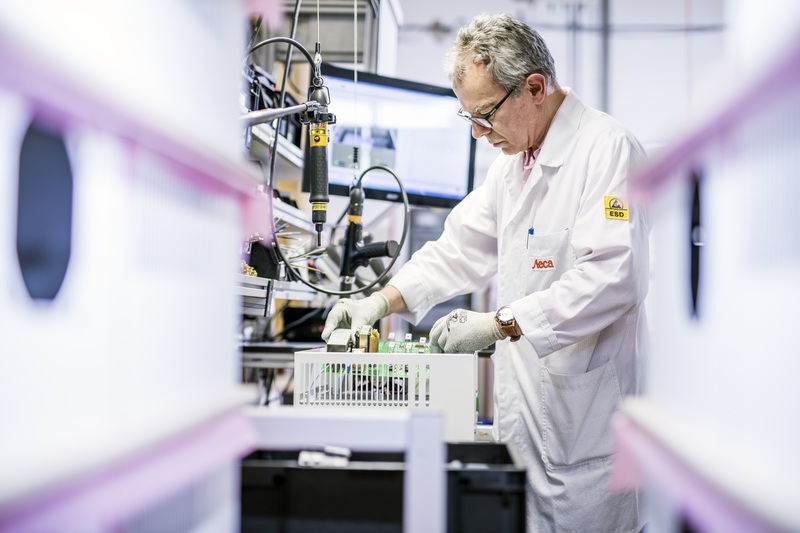 So far, batteries from Sony and BYD have passed the tests and it currently looks as if the Austrian battery manufacturer Kreisel will also receive a Kostal recommendation shortly. The starting point for both new developments which Steca wants to use to lift itself above the standard market is the altered marketplace. Huguette Kolb-Aust, Sales Manager for Solar Electronics at the Bavarian manufacturer, notes that grid-tied and off-grid systems are getting closer to oneanother not only in Europe, but worldwide. Because grid infeed is becoming less and less profitable both in Germany and other countries, own consumption and storage are becoming ever-more important. More and more customers do not wish to feed in at all now, says the head of sales. After all, “it is remarkable what lengths you must go to in order to get 11 ct/kWh of remuneration.” Those put off by the bureaucracy involved with feeding in will try and use all the solar electricity themselves. The new hybrid inverter is geared to these customer demands. The product is called the Solarix PLI 5000-48 and was recently installed in a Belgian solar system because the customer wanted to be autonomous. The hybrid inverter is suitable for an autonomous solar system, an uninterruptible electricity supply and also for a solar system which gets its electricity from the grid or a diesel generator if required. Steca thus wants to prepare itself for future market developments. These are markets in which grid infeed used to be normal, obvious even, but which are now changing because full infeed is becoming less important. “The product is also interesting for classical off-grid markets, however,” stresses Kolb-Aust. Solar home systems are generally the most common in these markets, but this is changing too. Several hybrid inverters can be connected in parallel and thus form mini grids or even small commercial systems. The second iron which Steca has in the fire is called “coolcept flex”. This is not a particular inverter as such, but a technology platform which will enable a flexible reaction to future market characteristics. 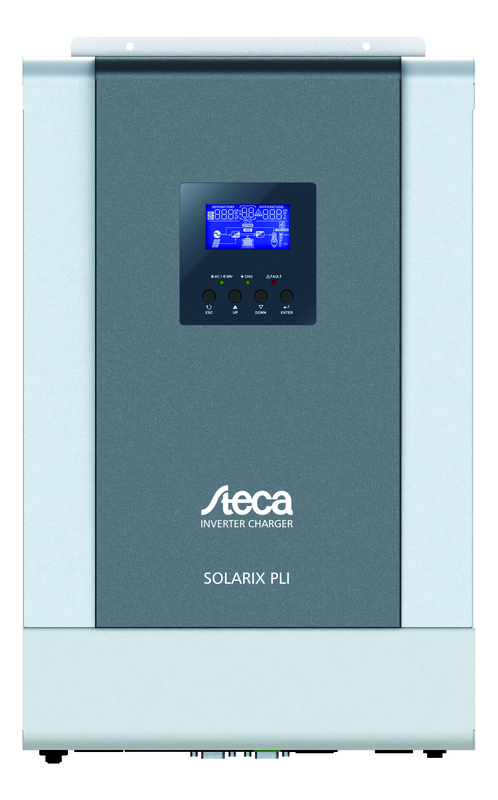 The platform makes it possible for Steca to be able to bring inverters onto the market which have storage connections suitable for both high-voltage and low-voltage solutions. The platform also aims to enable AC and DC charging of electric vehicles. Because no standard has yet emerged, neither in terms of the battery nor the electric vehicle, coolcept flex has to be able to do anything really. In order to expand, SMA is taking a step beyond the inverter world and is starting a new business model that is to grow and prosper under the roof of its subsidiary Coneva. This could also indirectly improve the requirements for growth of the core business, for SMA can only really sell more inverters if the energy transition makes rapid progress. When there is a lack of political support it is better to lay down a path for photovoltaics through your own initiatives. SMA is taking up this challenge with the setting up of an energy management that encompasses all the sectors; heating, cooling, electricity and mobility are taken as a whole. This is because photovoltaics can only carry on growing rapidly if it can supply power to the other sectors. The name of the new subsidiary stands for “connected energy value” and thus points to the linking up of different forms of energy with a view to creating additional value. Coneva is concentrating on an integrated energy management across all sectors, is gathering data from electricity and heat generation systems as well as from the consumers of heat and electricity, and is bringing together supply and demand on the ennexOS platform developed by SMA. The integrated measurement of energy flows, intelligent forecasting procedures and support for individual tariff models should make it possible for the customer to have a complete overview of costs. “Our energy management solutions are based on three pillars,” explains the head of Coneva, Jochen Schneider, “the ennexOS platform, the data from approx. 300,000 photovoltaic systems registered at SMA and our energy-economic know-how.” On this basis an energy system can be adjusted and optimised. 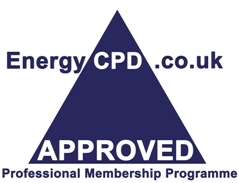 Subsequently, the energy can be sold to nearby consumers via “peer-to-peer trading”. This service is of interest to supermarkets, for example; especially the electricity-devouring cooling and refrigeration technology is an almost ideal consumer of solar electricity, but is also a means to an end for shifting loads. Additionally, the heat produced by the freezers could be sold to nearby residential buildings – a sign of the multitude of possibilities for making money from interconnected energy systems. “We carry out services which our customers offer to end consumers under their own name and logo,” explains Schneider. This so-called “white-label” service enables a municipal utility, for example, to offer customers a complete portfolio which optimises energy consumption and integrates the customers into the energy market. This is primarily interesting for small and medium-sized utilities which cannot deal with digitalisation on their own. This is what the Coneva service is tailored to. Fronius is also increasing its use of the opportunities presented by digitalisation, but in a totally different way. It is not initially apparent what direct use this has for the company, as at first sight it looks like a completely idealistic project. The Internet portal “24 Hours of Sun” created by Fronius is open to all, worldwide. The vision of being able to use solar energy directly or indirectly right around the clock is one which the company wishes to spread around the globe, integrating as many people as possible, stresses Andrea Schartner, Press Spokesperson for the Business Unit Solar Energy at the Austrian company. Anybody who this appeals to can participate. It is not only about solar power, but more generally about sustainability and healthy growth. Fronius is going with the idea that the customers will end up making the link between vision and the technologies, products and solutions which the company offers, as a way of getting step-by-step closer to “24 Hours of Sun”. Andrea Schartner is convinced that “our customers value the good feeling from making a purchasing decision which does something pretty substantial towards continuing to secure a future worth living in.” Fronius is thus turning on a massive wheel with a really long-term effect. Whether this also pays off in terms of Fronius selling more inverters will only become clear in several years’ time, but at least nobody will be able to challenge the company’s unique selling point in a hurry.